Helen Agnes Baty of South Hill, VA, passed away October 27, 2016 singing with love in her heart and going to meet her heavenly father. She was preceded in death by her devoted husband of 60 years, the Rev. Norman R. Baty; a son, Norman R. Baty Jr.; a great-grandchild, Abel Dean Shelton. Surviving are two loving sons, James Baty (Jim) and David Sr. and his wife, Kim; six grandchildren, Stephen Baty and his wife Melanie, Kimberly Oligario and her husband Jeremiah, David Baty Jr., Amanda Baty and her boyfriend Zack Johnson, Christopher Neal and his wife Meredith, and Laura Shelton and her husband Nicki; and eight great-grandchildren, Dakota and Cheyenne Oligario, Brenton and Miley Baty, Jaxon Neal, Parker Neal, Bohdi Shelton and Zayne Johnson. Born in Union City, NJ to Justus H. and Helen Krause Becker on June 23, 1925, she graduated from Union Hill High School in 1943. She was a clerical worker for a Silver Corp. in New York and advanced to private secretary to the credit manager. After her marriage in 1947 she enjoyed Navy life with her husband. She worked until 1958 when she retired to become the “Domestic Engineer’’ of their home and a full time and loving mom to her three sons. She has been actively involved serving her Lord faithfully thru her parish and was recognized as “Honored Woman” of the Diocese of Southern Virginia. 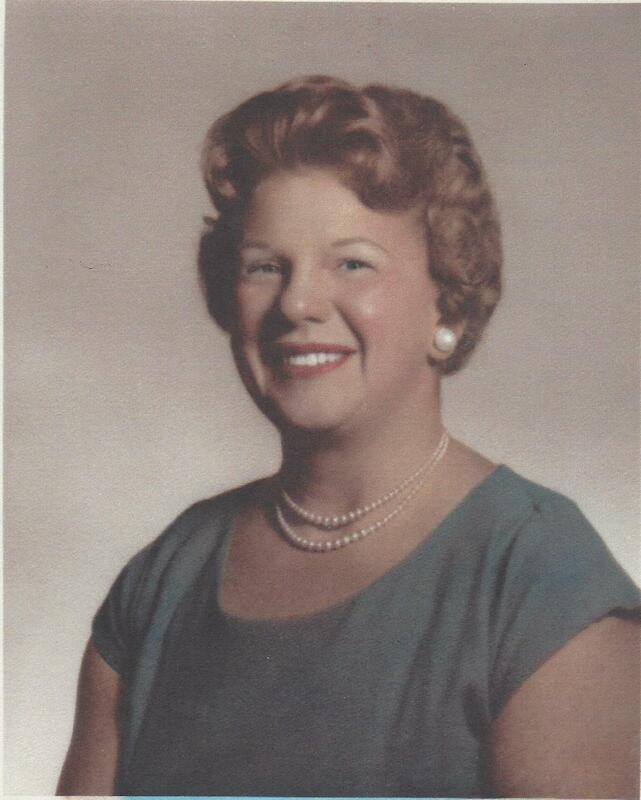 She enjoyed music and sang in many church choirs and community choral groups as music brought her much pleasure. She served as a hospital volunteer at Community Memorial hospital in South Hill for over 30 years and was once honored as their Volunteer of the Year. Helen’s love for friends and helping others will long be remembered. A service of celebration for her life will be held on November 12, 2016 at 12 noon at All Saints Episcopal Church, 203 Franklin Street, South Hill, Va. Following the services, the family will receive friends at Kahill’s Restaurant in South Hill. Memorial contributions may be made to the All Saint’s Episcopal Church, 203 Franklin Street, South Hill, Va 23970. Clarke Funeral Home, Kenbridge, Va is serving the Baty Family. Online condolences may be sent to the family at www.clarkefuneralhome.com.